World First Guest Blog: 7 Steps to Selling on Amazon Japan! | Samuel Shapiro & Company, Inc.
It’s hard to find an e-commerce market with more promise than Japan. For starters, the country boasts some of the most online shopping-savvy consumers on the planet. A whopping 80% of Japan’s population (or 100 million) shop online according to comScore, besting US online shopper rates of around 70%. Japan’s e-commerce market is also far from done growing. The world’s fourth-largest e-commerce market grew by double digits again in 2015 (2016’s numbers haven’t been released) based on researcher Statista’s findings, and is expected to grow another 30% to $134.1 billion by 2019. Best of all, if you’re an Amazon seller, there’s little stopping you from accessing Amazon Japan and expanding your businesses into this fast-growing market. Just follow these 7 easy steps to start selling on Amazon Japan. Before you excitedly jump headfirst into Amazon Japan, save yourself some heartache by first researching the local product laws and then testing to see what kind of demand there is for your products. Our partner and e-commerce localization expert InterCultural Elements (ICE) says Amazon US sellers can test for product demand by browsing Amazon Japan for competitors’ products and pricing. This apples-to-apples comparison on products with the same SKUs can give you an idea on how much you can charge for your own products on Amazon Japan and help you calculate your potential return on investment (ROI). If you plan on shipping inventory through Fulfillment by Amazon (FBA) in Japan, you’ll need either an Importer of Record (IOR) or Attorney of Custom Procedures (ACP), as Japan doesn’t allow non-resident sellers to send goods to fulfillment centers in Japan on their own. An IOR agent, which typically charges a commission on your shipped products, will make sure your shipments a.) make it to Japan, b.) meet local laws and regulations, c.) file legal documents, and d.) pay all the import duties and taxes to keep your business in compliance. From there, your shipments can be cleared for delivery to Amazon warehouses and shipped on to your customers. Here’s a good problem to have: If you anticipate racking up more than ¥10 million (around $85,000 based on exchange rates at time of writing) in annual sales in Japan, the National Tax Agency requires you to register for C-Tax (Consumption Tax). Your IOR/ACP can help you register and will often pay these taxes on your behalf as your products are shipped to Japan. And much like a state sales tax, these consumption taxes are recoverable, as they are listed on your product pages and typically passed on to the consumer when they buy your product on Amazon Japan. On to the fun part! Once you have an IOR/ACP agent and are registered for C-Tax, you’re ready to sign up for Amazon Japan. Amazon says the process takes less than 15 minutes with your business details and credit card information. 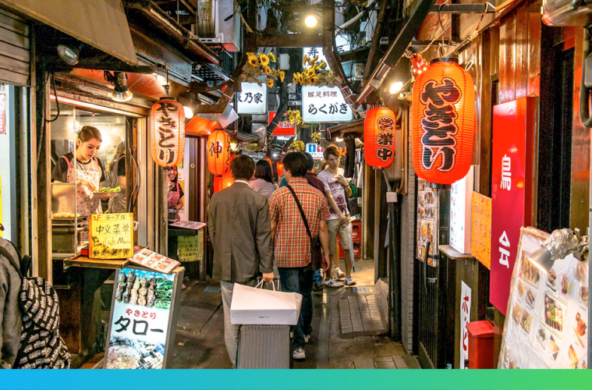 Knowing the language and culture is crucial to persuading buyers – especially in Japan. And given that almost all 125 million people living in Japan speak Japanese exclusively, it’s little wonder why Amazon Japan requires you to have a Japanese-speaking customer service representative (or have FBA provide the service for you) to keep your account in good standing. ICE are also able to assist with this as they have native speakers on staff that can help you manage this. Beyond service, localization expert ICE suggests enlisting native-speaking professional translators that understand both ecommerce trends and Japanese culture (like local holidays, humor, and consumer trends) to write your product listings/labeling and optimize your product titles for search engines. If you want to avoid wasted shipments and maximize your resources, you’ll need a cost-effective inventory shipping strategy. Our partner and shipping expert Shapiro – which has been in the business of customs brokerage and freight forwarding for more than 100 years – says FBA Japan sellers that ship less than 150 kilograms (330 pounds) at a time will do fine using a courier service like FedEx, DHL, or UPS. But for FBA sellers with larger shipments than that, Shapiro suggests working with a logistics-savvy freight forwarder. Beyond helping you physically pack and ship large inventory loads, a good freight forwarder can keep track of constantly changing customs and pallet packing rules, so your shipments can keep flowing to customers without compliance interruptions. By following these steps and trusting your business instincts, success may be just around the corner. We wish you the best of luck selling on Amazon Japan! Amazon will typically offer to repatriate and convert your overseas earnings for you back into US dollars on a recurring basis. While this method may seem simple, this could be a costly way to repatriate your profits or make payments overseas. By instead using an international payments provider like World First USA, Inc., you can potentially save hundreds of dollars on conversion costs. Whether you need to bring your money back home from Amazon Japan, or make international supplier or tax payments, we can help you save money. Click here to see how we can help boost your bottom line. World First is a trusted member of Shapiro’s Vendorland network and the premier foreign currency exchange solution for Amazon and online sellers. If you’re trading overseas on eCommerce marketplaces you’ll need to find an effective way of converting your payments back into your own currency. And then there’s paying overseas suppliers or being able to make the most of a great rate… Luckily for you, World First has what you’re looking for.